Umbra's Stowit jewellery box keeps the most valuable pieces of jewellery safe and clear. Chains, rings, bracelets and watches find a place in several drawers and are always ready to hand. All compartments are lined with fabric so that the jewellery does not scratch or slip. The top level is also suitable for setting the stage for everyday jewellery. The Stowit jewellery box is made of metal and wood, which together form a harmonious combination. The underside is equipped with small rubber feet that protect furniture from scratching. 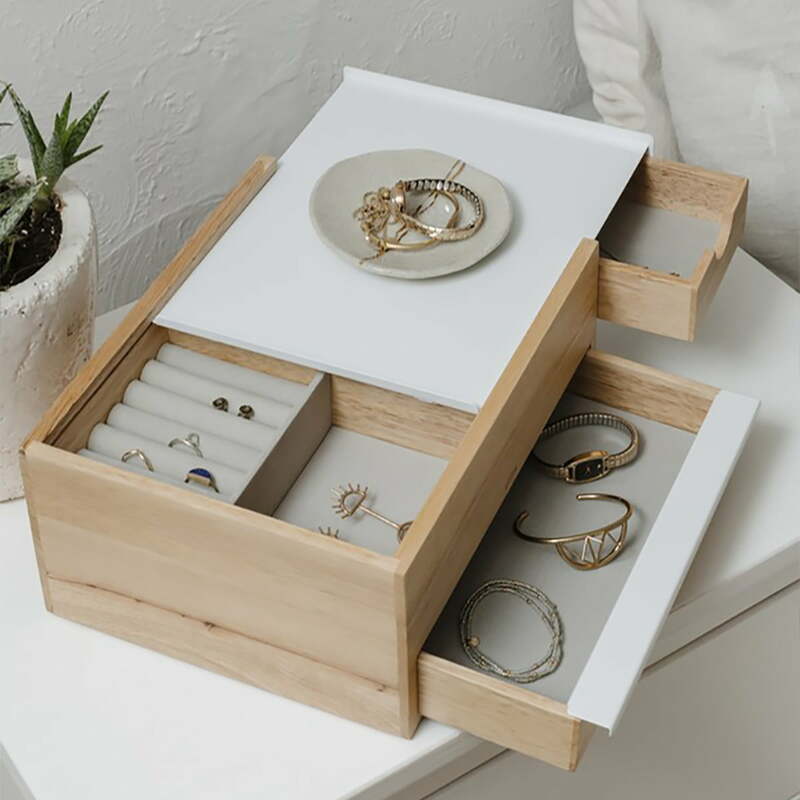 The Sung wook Park designed Stowit jewelry box is available in different sizes and colors and can be combined with other Umbra jewelry storage. 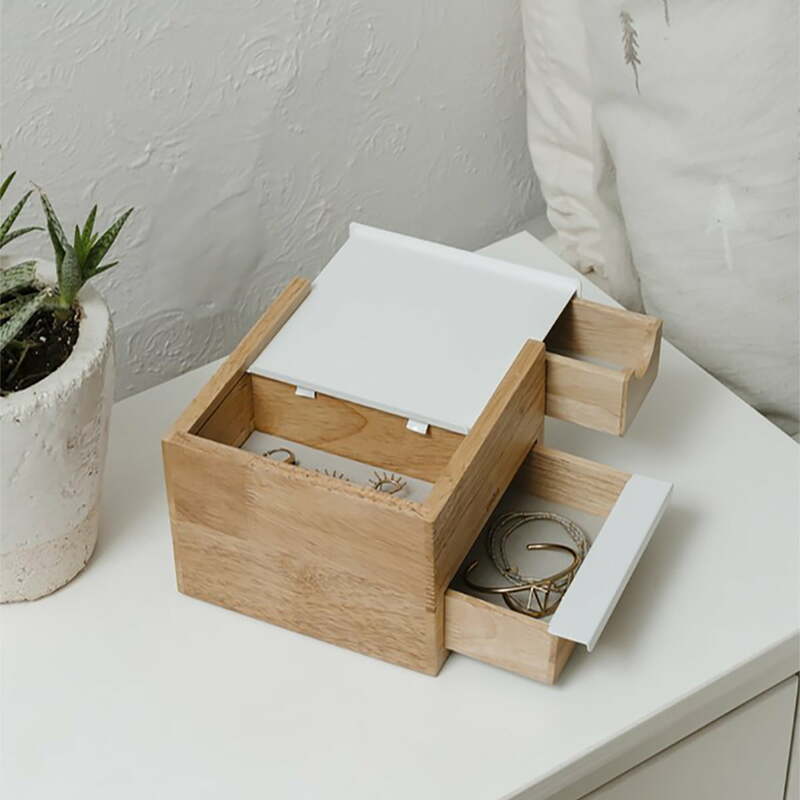 Stowit mini jewellery box in beech / white of Umbra in single view. The Stowit jewellery box is made of metal and wood, which together form a harmonious combination. 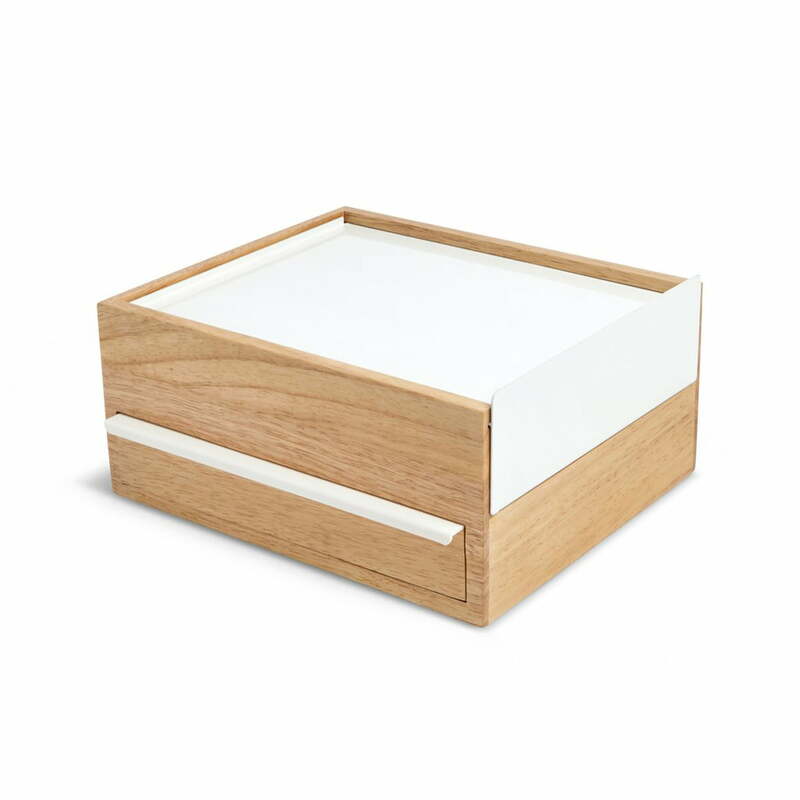 Stowit jewelry box in beech / white of Umbra in the ambience view. In several drawers, the jewellery box offers space for your favourite pieces of jewellery. 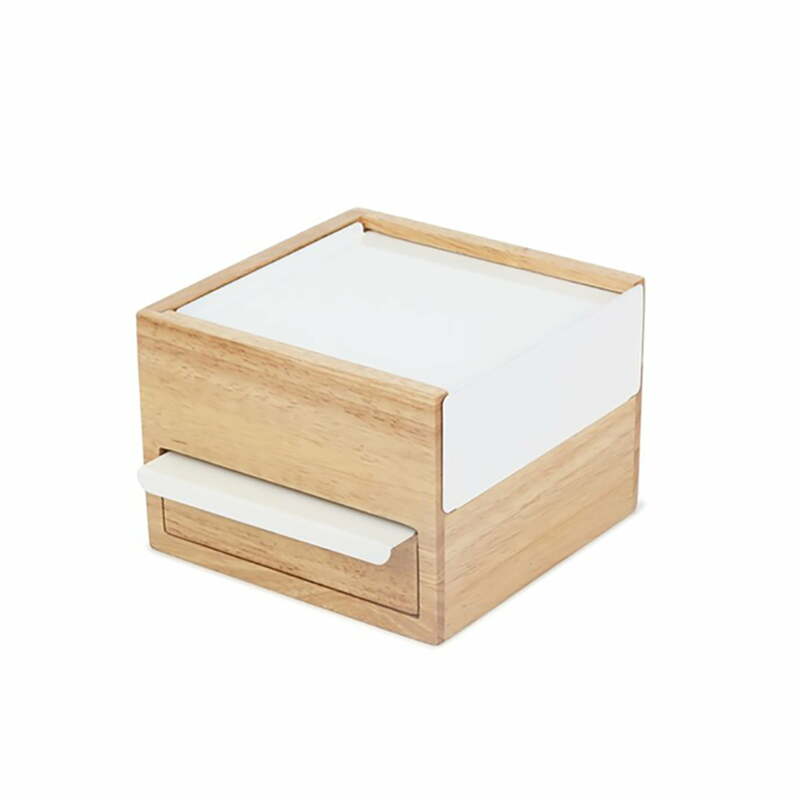 Stowit Mini jewellery box from Umbra in beech / white in the ambience view. Chains, rings, bracelets and watches find a place in several drawers and are always ready to hand.